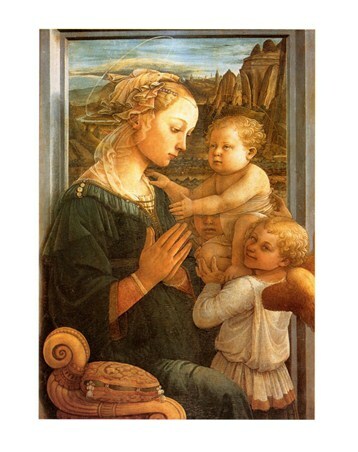 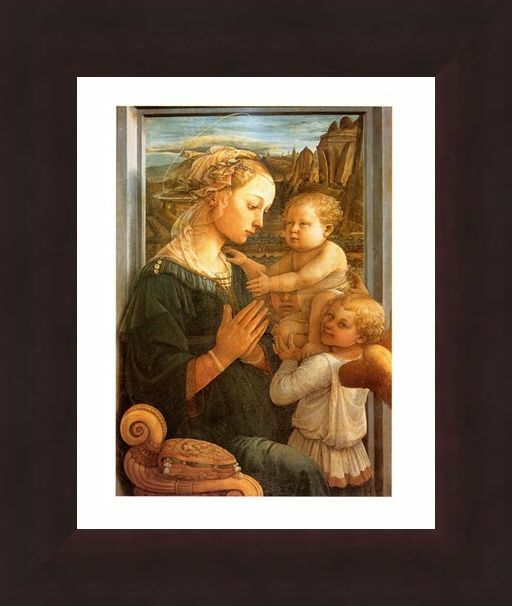 Italian Art Mini Print: There are many depictions of Madonna and Child which have been seen across centuries inspiring other painters to create their own masterpieces. 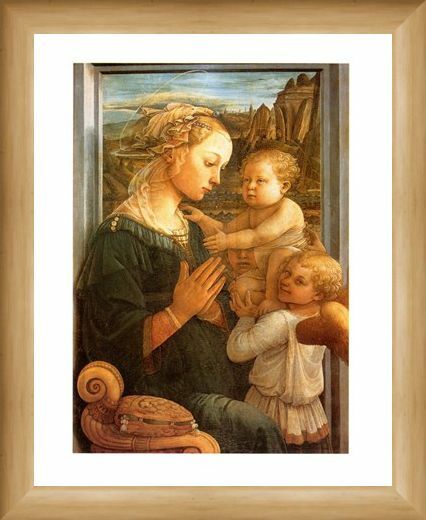 'Madonna Col Bambino' was painted by Filippo Lippi in the mid 1400's and it shows Mary surrounded by two winged cherubs who are holding Jesus as a child. 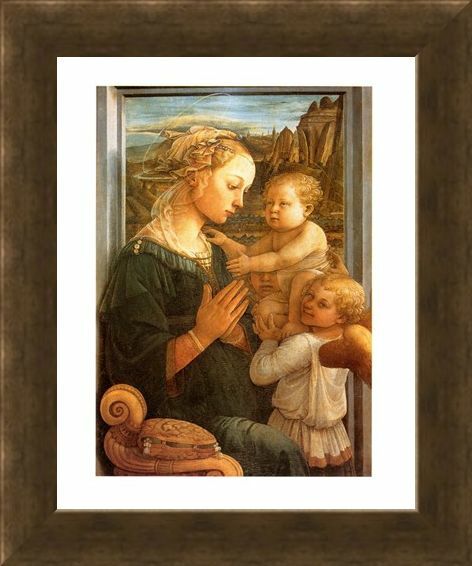 Madonna is a term used for a noble woman which is why many paintings refer to Mary as Madonna and this particular piece shows mother and child with halos around their heads. 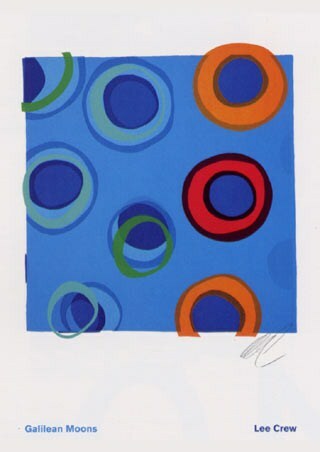 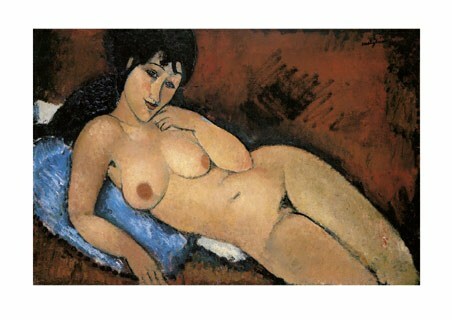 A charming print from the early Italian renaissance movement which will make a great addition to your home. 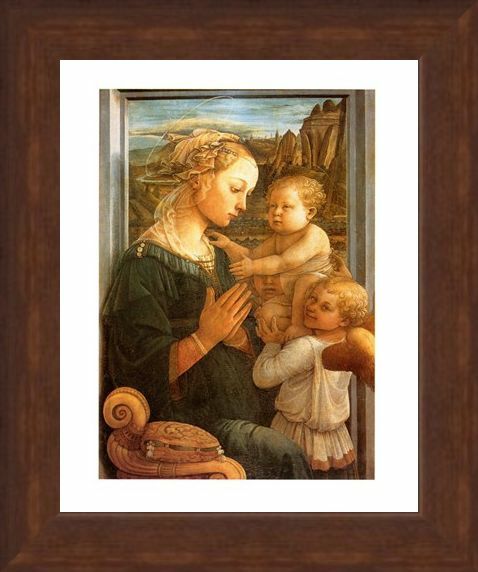 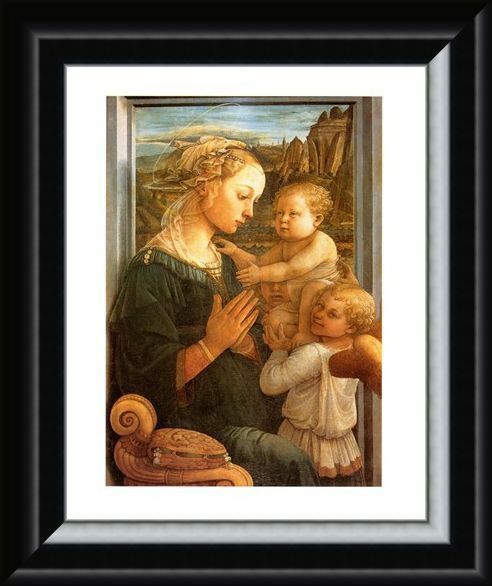 High quality, framed Madonna Col Bambino, Filippo Lippi mini print with a bespoke frame by our custom framing service.